We had our third, and final (for this year! 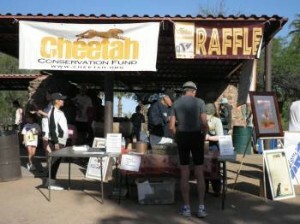 ), Run Ror the Cheetah event in Phoenix, AZ this last weekend. This event topped off our Cheetah run adventures very nicely with yet another group of wonderful volunteers and runners. 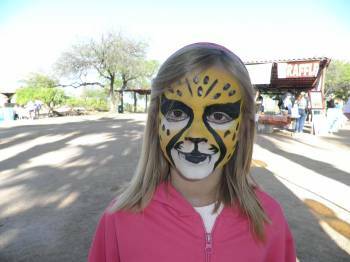 We were invited to a bag stuffing party with the volunteer group the evening before the race, and were offered tasty food and delicious wine that had been specially created to provide funds for the Cheetah Conservation Fund (CCF). Together, we successfully stuffed 750 gift bags for the runners. Even though we stuffed 750 gifts bags- more people showed up on race day than expected. This delayed race time- but lifted spirits. We were especially excited to discover that Dr. Laurie Marker, who founded the CCF in 1990, would be attending the Phoenix event. Dr. Marker has won numerous awards in the past for her expansive humanitarian and conservationist efforts. This year Dr. Marker was awarded the prestigious 2010 Tyler Environmental Prize because of her excellent conservationist leadership abilities and the real progress that she is making through environmental restoration. It was interesting to learn that the Cheetah Conservation Fund focuses on many different aspects related to the Cheetah’s survival, such as the Bushblok Project which aims at removing an invasive bush that is destroying the Cheetahs habitat, while at the same time creating jobs for the Namibian people. 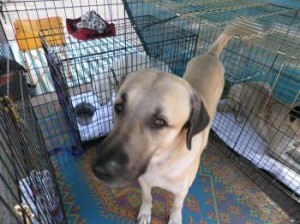 CCF also protects Cheetahs by placing Livestock Guarding Dogs to help farmers keep Cheetahs away from their livestock without having to resort to guns. Meeting Dr. Marker was very inspirational. 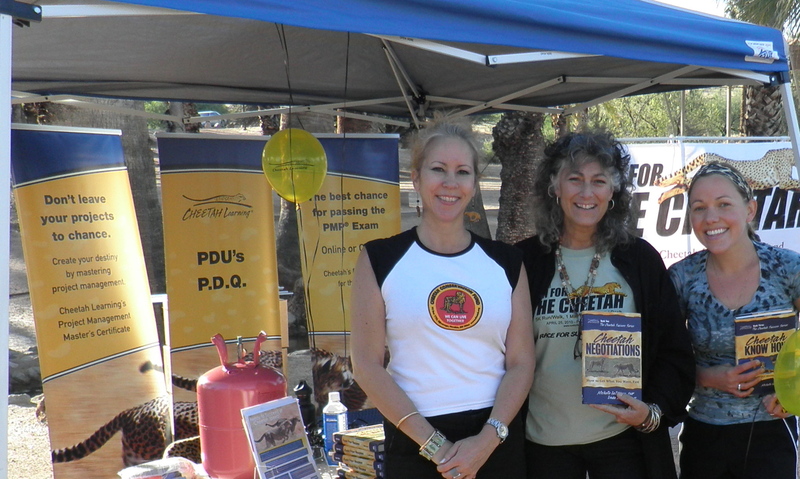 Her conviction and passion for this cause brought people of all ages together to support an animal that lives halfway around the world in Africa. Dr. Marker made that cause, and that passion, real and relevant for every volunteer and runner that was present. A Cheetah enthusiast. She is making a difference. I’d also like to give a big THANK YOU to Claudia for organizing this event, and a thanks to the entire group of volunteers for making the Run for the Cheetah- Phoenix, such a memorable experience. 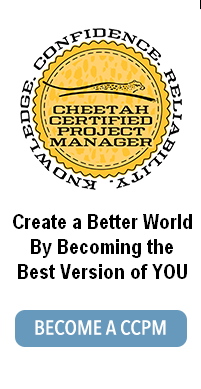 Find out how you too can help at the Cheetah Conservation Fund website. This entry was posted on Tuesday, April 27th, 2010 at 12:25 pm	and is filed under PM for the "20-Something" Crowd. You can follow any responses to this entry through the RSS 2.0 feed. Both comments and pings are currently closed.